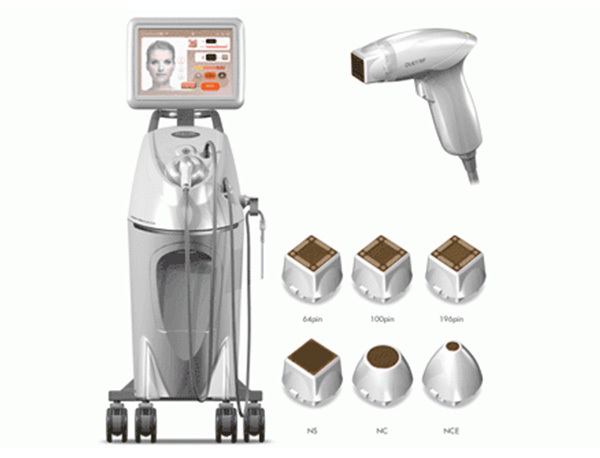 Duet RF is 2 in 1 system of advanced RF technology such as thermal RF, which delivers RF thermal energy into the skin with non-ablative effect and fractional RF, which considered as minimal ablative treatment delivers focused RF energy. NTTS (Non-pole thermal transmission structure) delivers uniform thermal energy into the dermal layer without epidermal damage. 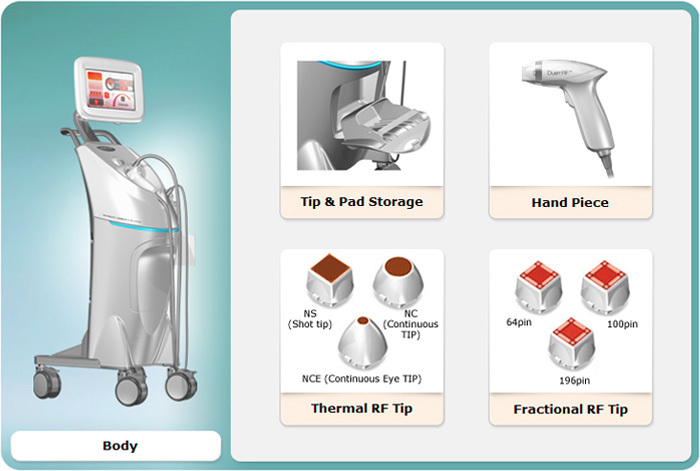 AFMR(Advanced fractional multi-polarity radiofrequency) delivers focused RF energy through each electrode into the skin.